During the Fall it would be unimaginable not to serve something made with pumpkin. 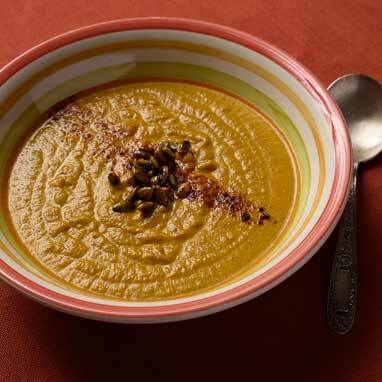 Since there are so many desserts that feature this squash, try making some Creamy Pumpkin Soup. Toasted pumpkin seeds are a perfect, cute, and tasty garnish.